On Sutton Place Printables: Free digital downloads to use for DIY wall art, cards, crafts, screensavers & more. 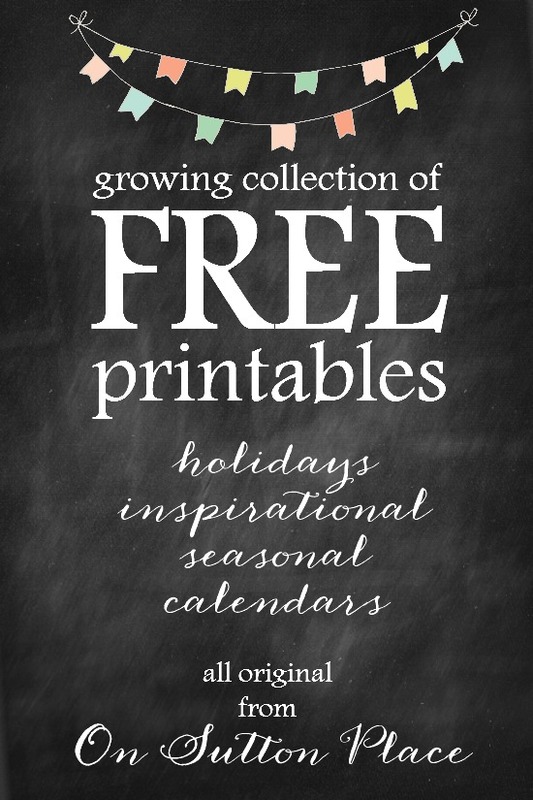 Growing collection of free printables. Join the OSP Email Subscriber List and get instant access to the Member’s Only Library. This is an exclusive collection of printables that includes images suitable for wall art, eBooks, banners, gift tags & checklists. Just fill out the form below!